Meet our 2013 Dodge Dart SXT, shown proudly in Maximum Steel Metallic, direct from Motor City. Powered by an impressive Turbocharged 2.0 Liter 4 Cylinder that boasts 160hp while mated to a fun to drive 6 Speed Automatic transmission. This Front Wheel Drive team helps you exceed the 40mpg mark on the open road giving you an awesome reward at the pump. Inside our SXT, you will find a rich interior that is designed to shatter all misconceptions that a small car can't be fun. Enjoy our pictures and you will see the bountiful features that await you like air conditioning, power windows, and keyless entry. This Dart SXT is on the forward edge of technology that summarizes power, success, and innovation with features never seen before in this class of car. Safety is key to the folks at Dodge. It's like you have a personal bodyguard with 10 airbags, projector headlamps, and power windows to keep you and your loved ones safe. You love the zippy acceleration and have fallen in love with the luxurious interior. So, Print this page and call us Now... We Know You Will Enjoy Your Test Drive Towards Ownership! Call or text 931-881-7079 for more information. Our 2009 Chrysler Town and Country Touring Van shown off in Stone White is in many ways a luxury vehicle, while still keeping its focus on being family-friendly and reliable. Powered by a 3.8 Liter V6 offering 197hp while mated to a 6 Speed Automatic transmission. Our Front Wheel Drive is easy to maneuver and provides a smooth ride while securing nearly 23mpg on the highway. The Touring cabin is comfortable and inviting even with a load full of kids. It provides seating for up to seven people and creature comforts like cruise control, rich materials, power liftgate, multi-zone climate control, and a multi-function steering wheel. Rest assured that your loved ones are safe in our Chrysler mini-van with features such as ABS, brake assist, airbags, and traction control. In fact, the IIHS gave our Town and Country its highest rating for front and side collisions. Pack up the family and beat the rush to see this gorgeous Town and Country! Print this page and call us Now... We Know You Will Enjoy Your Test Drive Towards Ownership! Call or text 931-881-7079 for more information. Our beautiful 2007 Mercury Milan Premier AWD Sedan in Black Clearcoat is a very nice and luxurious ride! Powered by a 3.0 Liter V6 that offers plenty of power while tethered to a smooth-shifting 6 Speed Automatic transmission. This All Wheel Drive team will have you securing near 26mpg on the highway! This Milan Premier Sedan has an elegant stance and is a sharp-looking vehicle. Open the door of our Premier to find a cabin full of comfort and convenience features including power accessories, climate control, remote keyless entry, Bluetooth, and a great sound system. Relax in the leather seats, grip the leather steering wheel with audio controls, and enjoy this ride! The designers at Mercury take your safety as their primary concern. With features such as LATCH, a fleet of airbags, and traction control you'll have peace of mind on your drive. You'll love the way you feel in this sedan. Print this page and call us Now... We Know You Will Enjoy Your Test Drive Towards Ownership! Call or text 931-881-7079 for more information. Meet our ready to work 1998 Ford F-150 XLT SuperCab 4X2 shown off in Pacific Green. Powered by a strong 4.2 Liter V6 that offers plenty of power while paired with an Automatic transmission w/Tow/Haul Mode. Secure up to 18mpg with this Rear Wheel Drive while enjoying a quiet ride, reliability, and performance. This truck features a long bed with mat, alloy wheels, and a tow package. Inside our XLT you will find comfortable seating, multiple storage areas, and an AM/FM stereo. A tilt steering wheel with cruise control, power accessories, lumbar support seating, a rear sliding window, and more will keep you comfortable during your drive. Ford will keep you safe with multiple airbags, stability control, and anti-lock brakes. F-150 has everything you could ask for in a full-size truck. Whether it's for work or play, you have made an excellent choice! Print this page and call us Now... We Know You Will Enjoy Your Test Drive Towards Ownership! Call or text 931-881-7079 for more information. Pewter 2006 Nissan Altima 2.5 S FWD 4-Speed Automatic with Overdrive 2.5L I4 SMPI DOHC Recent Arrival! 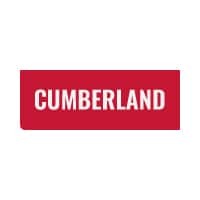 Don't miss your chance to SAVE HUGE $$ at Cumberland Auto Center!! Feast your eyes on our 2008 Toyota Yaris S Hatchback in Blue. Powered by a 1.5 Liter 4-Cylinder that delivers 106 hp while paired with a 5 Speed Automatic transmission. Our Front Wheel Drive offers great mpg on the open road. Our S comes with comfortable cloth seating, a great audio system, power accessories and much more. Our Toyota Yaris S comes with a long list of safety features you will appreciate. Print this page and call us NOW for your personalized test drive towards ownership! Call or text 931-881-7079 for more information. Feast your eyes on our 2008 Kia Rondo LX Wagon shown off in Silver. Powered by a durable 2.4 Liter 4 Cylinder that offers 162hp while connected to a 4 Speed Automatic transmission. Our Front Wheel Drive offers up to 25mpg on the open road. A chrome grille, fog lamps, great looking wheels, and black roof rails, help our Kia Rondo stand out from the crowd. Inside our LX, you are greeted by cloth seating and a rear bench seat that folds flat for up to eight feet of storage space. You will also enjoy audio and cruise controls at your fingertips on the leather steering wheel, power accessories, and an AM/FM stereo with CD player. Our Kia Rondo LX is loaded with safety features to give you peace of mind on the road. Print this page and call us Now... We Know You Will Enjoy Your Test Drive Towards Ownership! Call or text 931-881-7079 for more information. Meet our gorgeous 2007 Mazda MX-5 Miata Grand Touring Convertible that is ready to impress in Galaxy Gray Mica. Powered by a 2.0 Liter 4 Cylinder that delivers 166hp on command paired with a durable 6 Speed Automatic transmission. This Rear Wheel Drive earns nearly 27mpg on the open road while offering easy acceleration and a smooth ride while accented by great-looking alloy wheels, a convertible soft top, and halogen fog lights. Our Grand Touring cabin offers a wealth of amenities and comfort features. Take down the top with ease and sink into comfortable leather seats, power accessories, convertible wind deflector, and an impressive audio system with speed-compensating volume, CD player, and available satellite radio to play your favorite music. And speed-compensating volume. Mazda packed this Miata with safety features to give you peace of mind every time you hit the road. A tire pressure monitor, multiple airbags, side impact door beams, and more will keep you and your passengers protected in this gorgeous convertible. Print this page and call us Now... We Know You Will Enjoy Your Test Drive Towards Ownership! Call or text 931-881-7079 for more information. Gray 2009 Honda Accord LX 2.4 FWD 5-Speed Automatic with Overdrive 2.4L I4 DOHC i-VTEC 16V Cloth. Our 2009 Honda Accord LX Sedan shown in Polished Metal Metallic always has been and will always be the perfect choice! Powered by a 2.4 Liter 4 Cylinder that generates a spirited 177hp when mated to a smooth shifting 5 Speed Automatic Transmission. This Front Wheel Drive sedan will also return great fuel economy at an estimated 30mpg on the highway! With a nice balance between sporty, comfortable, and family friendly, this Accord LX does everything well! Inside, you'll find all the comforts you know and love including power accessories, cruise control with steering wheel mounted controls, AM/FM/CD stereo and Aux input paired with a great sound system are all inside this cabin oasis. Honda packs their vehicles with top-shelf safety features and our Accord LX is no exception. ACE body structure, four-wheel ABS, daytime running lamps, a tire-pressure monitoring system, and a fleet of airbags are here to grant you peace of mind. Great value, fuel economy, finish, and a sterling record for reliability all stand to keep this Accord near the head of the pack for years to come! Print this page and call us Now... We Know You Will Enjoy Your Test Drive Towards Ownership! Call or text 931-881-7079 for more information. Introducing our 2011 Kia Forte EX shown in a very attractive ark Cherry Metallic! Powered by a proven 2.0 Liter 4 Cylinder which produces 156hp while tethered to a smooth shifting 6 Speed Automatic transmission for passing ease. With this Front Wheel Drive team, you can expect up to 35mpg on the highway with a lively performance that will have you yearning to get behind the wheel! Take a moment to admire the sharp styling of our Kia Forte EX! You'll notice the EX cabin is both well-built and full of features such as power windows/door locks, air conditioning, cruise control, and a convenient split-folding rear seat. You'll also enjoy an AM/FM/CD audio system w/6 speakers, auxiliary audio jack, iPod/USB Interface and Bluetooth wireless technology. Kia doesn't stop there with the features either. Dual front, front side and side curtain airbags, anti-lock braking and stability and traction controls are all standard for your protection. We all know what our strong suits are. Make this Forte your Forte! Print this page and call us Now... We Know You Will Enjoy Your Test Drive Towards Ownership! Call or text 931-881-7079 for more information. Meet our great looking 2013 Nissan Sentra SV Sedan shown proudly in a Aspen White finish. Powered by a 1.8 Liter 4 Cylinder that generates 130hp while tied to a Nissan's next-generation Xtronic CVT. Together, this Front Wheel Drive combination not only makes your daily commute more exciting but does so while achieving near 39mpg. To match the spirited performance, the Sentra has a tough looking aerodynamic body that features LED-accented headlights, taillights, 17-inch alloy wheels, and rear spoiler. Our SV offers an interior that is well-designed and made of premium materials. You'll find yourself spoiled with features like power windows, power door locks, air conditioning, and a multi-function trip computer. Stepping up to the SV, you benefit from premium cloth seats, and door trim, cruise control and easy to use audio controls. The roomy cabin has more rear legroom than you might think. Jump in and see! Nissan has added six airbags, anti-lock braking system, traction control system, vehicle dynamic control, and a tire pressure monitoring system w/Easy-Fill Tire Alert work together to not only keep you safe in the event of a crash but also to help you avoid an accident altogether. Stylish good looks, premium features, and high gas mileage mean this Sentra represents an incredible value. Print this page and call us Now... We Know You Will Enjoy Your Test Drive Towards Ownership! Call or text 931-881-7079 for more information. Meet our 2008 Ford Escape XLT offered in Silver! Powered by an energetic 3.0 Liter V6 generating 240hp on demand when connected to a smooth-shifting 6 Speed Automatic transmission. This Front Wheel Drive Escape manages near 26mpg highway and stands out with great-looking wheels and tinted glass. Inside, this XLT adds such comfort and convenience features like premium cloth seating, power driver seat, automatic headlights, fog lamps, a multi-function steering wheel, tire pressure monitor, an awesome audio system with CD/MP3/SAT/Auxiliary input, and tons more! As always, safety is well-covered; Ford's safety equipment is all in place. Get in here today before this Escape XLT is gone! Print this page and call us Now... We Know You Will Enjoy Your Test Drive Towards Ownership! Call or text 931-881-7079 for more information. Meet our great looking 2013 Chevrolet Cruze LS Sedan in Summit White! Powered by a proven TurboCharged 1.8 Liter 4 Cylinder that offers 138hp while connected to a quick-shifting 6 Speed Automatic transmission for passing ease. This Front Wheel Drive Cruze rewards its drivers with near 36mpg on the highway plus the tight suspension grabs the curves to keep the thrill of the road in your hands. As you can see, our Cruze LS has an elegant style and sporty stance with beautiful wheels. The LS is well-built and offers plenty of head and legroom as well as comfort and convenience features made to make each drive extraordinary. Enjoy available OnStar, keyless entry, steering wheel audio controls, a 60/40 split rear seat, trip computer, power accessories, and more. Staying connected is a breeze with Bluetooth and CD/MP3/AM/FM audio with available satellite radio and a USB port/auxiliary audio jack. Our Chevrolet Cruze takes care of you with stability control, anti-lock brakes, airbags, and other thoughtfully designed features. Give your family the security, performance, and affordability that come with owning Our Chevrolet Cruze. Print this page and call us Now... We Know You Will Enjoy Your Test Drive Towards Ownership! Call or text 931-881-7079 for more information. Platinum Graphite 2012 Nissan Rogue S FWD CVT 2.5L I4 DOHC 16V 23/28 City/Highway MPG Don't miss your chance to SAVE HUGE $$ at Cumberland Auto Center!! Our awesome 2009 Honda CR-V EX in Silver is ready for you! This reliable machine is powered by a very energetic 2.4 Liter 4 Cylinder coupled with a 5 Speed Automatic transmission that will reward you with a spirited drive and allows you to pass up the gas station a few more times in between fill ups. This Front Wheel Drive goes just about everywhere, no matter what is on the road. Our EX trim has a power sunroof, plush seating for five, tons of power accessories, steering-wheel audio controls and a super sounding stereo with a CD changer and auxiliary input. That's not to mention all the other features that make it a comfortable vehicle no matter how you slice it! Take time to scan the safety features list of this Honda. It is just as loaded with equipment to keep you and yours safe on the road. Come on and take this one home with you! Print this page and call us Now... We Know You Will Enjoy Your Test Drive Towards Ownership! Call or text 931-881-7079 for more information. Our 2011 Hyundai Santa Fe GLS is loaded with amenities! Powered by a 2.4 Liter 4 Cylinder that delivers 175hp mated to a 6 Speed Automatic transmission. This Front Wheel Drive team offers generous fuel economy rated at nearly 28mpg on the open road. The sleek wheels and sweeping lines of the exterior only enhance the look of the cabin as you step inside. This Santa Fe GLS boasts an interior that is user-friendly with easy to use steering wheel controls, comfortable seats, and an outstanding stereo system complete with Bluetooth connectivity, auxiliary audio input jack, CD/MP3 player, and available SAT radio. As you can see from our pictures our Hyundai Santa Fe has class and then some! Hyundai's passion for safety shines through with the equipment that this GLS has. Brake assist, stability/traction control, the security of all wheel drive, and an army of airbags will keep you and your precious cargo out of harm's way. If you're in the market for an SUV with good versatility, nice styling, responsive performance, commendable fuel economy, and a generous list of appealing features, this one should be included on your shopping list. Print this page and call us Now... We Know You Will Enjoy Your Test Drive Towards Ownership! Call or text 931-881-7079 for more information. Meet our 2011 Mercedes-Benz C300 Sedan featured in Charcoal the driving experience alone will capture your heart; it is quiet, smooth and refined. Our C300 is powered by a 3.0 Liter V6 that produces 228hp while mated to a 7 Speed Automatic transmission. This Rear Wheel Drive machine goes from zero to 60mph in 7.3 seconds and earns nearly 26mpg on the highway. The ride quality is balanced between luxurious compliance and sport agility. Our C300 is impeccably built to a standard befitting of its legendary status. Inside you get the luxurious C300 cabin. Fit and finish are beautifully crafted, with straightforward controls, a sunroof, leather seats, and user-friendly features. You will be pampered with dual climate control with dust and pollen filters, premium audio system, steering wheel audio controls, and so much more! The Mercedes-Benz safety list is impressive with stability/traction control, brake assist, tire pressure monitoring system and a multitude of air bags. Take a look at our pictures and you will see what we are talking about - If you need just one word, choose WOW! Print this page and call us Now... We Know You Will Enjoy Your Test Drive Towards Ownership! Call or text 931-881-7079 for more information. New vehicle pricing includes all offers and incentives. Tax, Title and Tags not included in vehicle prices shown and must be paid by the purchaser. While great effort is made to ensure the accuracy of the information on this site, errors do occur so please verify information with a customer service rep. This is easily done by calling us at (855) 497-2701 or by visiting us at the dealership. Any variation from online price will not include dealer processing fee.